While some may not understand what the word “beauty influencer” means exactly, not many doubt their actual influence these days. 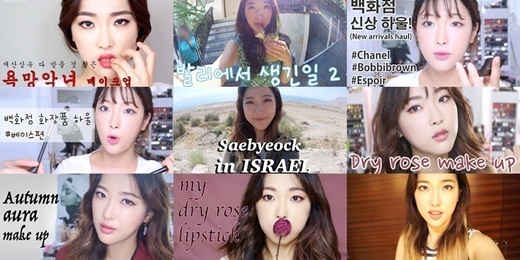 Beauty influencers are on the rise, leading the cosmetics market everywhere, including Korea. The term beauty influencers usually refers to beauty creators and beauty YouTubers, who post beauty-related clips, photos or writings on the web. Over the past few years, there have been numerous reports on how the influencers are taking over the cosmetics market, previously a domain of celebrities. It has become customary for beauty firms to maintain a good relationship with the influencers, for example, gifting them with newly launched products and inviting them on overseas trips. “They are trendy and sensual, finding something that companies cannot find,” a public relations official from AmorePacific said. AmorePacific, one of the biggest cosmetics firms in the nation, is not an exception to beauty influencer marketing. “The influencers are different from celebrities. They tell people what they feel, what they think after using beauty products. They communicate closely with young customers, the millennials,” the official said. As beauty influencers are not tied by exclusive contracts, they work with various brands, conveying a more credible image. “Viewers can trust them more, thinking ‘They are not restricted by brands, but are influenced by the product quality,‘” the official added. Going beyond doing advertisements and receiving sponsorships from cosmetics brands, beauty influencers are now launching their own products, cooperating with local firms. One of the big name beauty creators today is Risabae, a legendary figure in the world of beauty influences. Using her talent as a former makeup artist, she has been receiving the spotlight for showcasing elaborate cover makeup looks. With more than 1.7 million followers, she was invited as a guest on network MBC’s popular entertainment show “Radio Star” along with other celebrities. When she released the song titled “E.N.C” to feature in her videos, another major broadcaster KBS also suggested that she perform it on a weekly music show. Risabae launched makeup brushes named after her last December, partnering with local cosmetics brand Soo Ador. 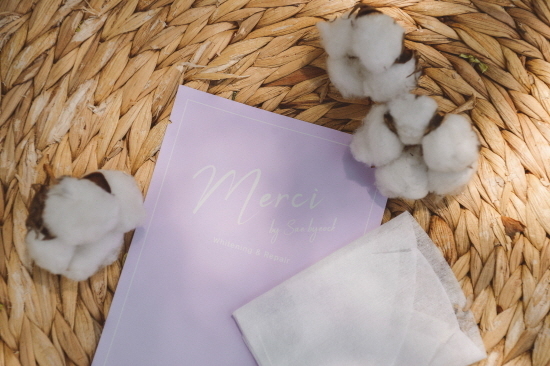 Another beauty YouTuber named Saebyeock recently started her skincare brand Merci Morning. The brand is to launch a facial sheet mask named after her. On June 1, on the day of pre-order, the product immediately sold out. “I have been contacted by various makeup brands to launch products with them. Some ask for my participation, but there are also those who just want to borrow my name,” Saebyeock said on her YouTube broadcast. What characterizes these collaboration launches is that the YouTubers have a stable advertising platform -- their own online broadcast channels. Uploading lengthy clips, they share how they came to launch the products, what the difficulties were and what they want to pursue, persuading viewers emotionally. But some are skeptical of the collaborations. “I am not so sure. They seem like cheap products infused with hip influencers’ images,” Park Mi-young, a worker in her late 20s said. Meanwhile, a beauty convention is to take place in Seoul over the weekend, featuring the next-generation beauty icons. Comet Beauty Festival is organized by YouTube star Ssin Nim and Ice Creative, a management agency for beauty and fashion influencers. 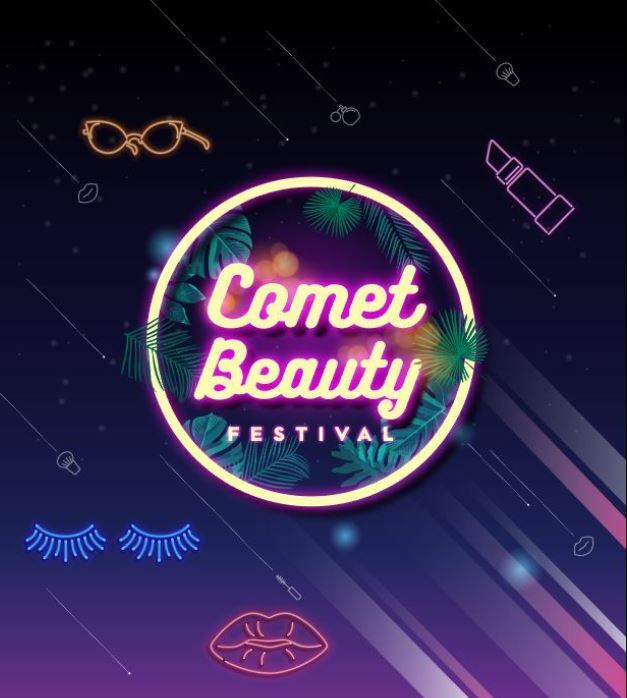 The word “comet” is a combination of come and meet, meaning that visitors can come and meet beauty influencers at the festival. Around 13 beauty influencers will participate, including Ssin Nim, Risabae and Dayoung. They will give lectures and set up booths, partnering with 17 beauty brands. The convention will be held on Saturday and Sunday at Dongdaemun Design Plaza in central Seoul. One-day tickets cost 9,800 won and can be purchased through Interpark Ticket or Style Share. Check the festival’s website at comet-beauty.com.